“Dr. Donald F. Collins (AAVSO member, Swannanoa, NC), Dr. Robert Zavala (US Naval Observatory, Flagstaff Station), Jason Sanborn (Lowell Observatory), and Anatoly Miroshnichenko (University of North Carolina, Greensboro) have requested high time-resolution observations of the bright star b Persei (V ~ 4.57) during the next predicted eclipse, or transit, of the third star across the system as it is predicted to transit the inner pair of the triple system during the week centered on February 12, 2018. Four previous eclipses have been observed by AAVSO beginning in early 2013 (AAVSO Alert Notices 476, 507, 537, 563). 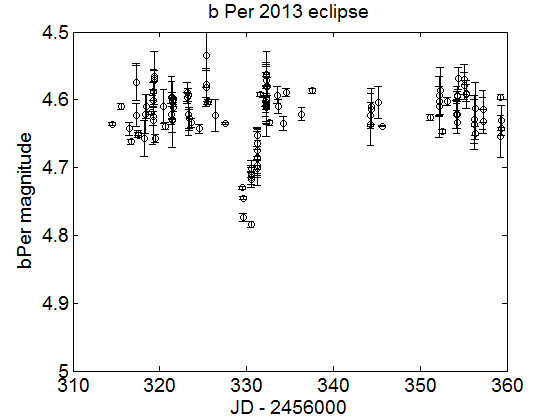 Excellent high time-resolution light curves have been collected for the last three observed eclipses. The light curves of each of the previous observed eclipses are shown in Figures 1–4. Instructions to observers: “Observers are asked to obtain high-resolution time-series observations of long durations in V during the eclipses as well as time-series observations of the system out of eclipse for the two weeks surrounding the expected February 12, 2018 date (Feb. 5 to Feb. 19, 2018). Out of eclipse data are important to calibrate the various offsets expected from different observing systems. It is recommended to use the star HIP 20156 = SAO 39457 = HR 1330 = HD 27084 (the star labeled '55') in the AAVSO finder chart at 5.456 V as the comparison star. For a check star HIP 20370 (J2000 RA, dec = 04 19 13.24, +50 02 55.30 ) may be used if the observer's field of view is about one degree. This star is not in the AAVSO sequence. Any other AAVSO sequence stars may be used as check stars if available in the observer's field of view. 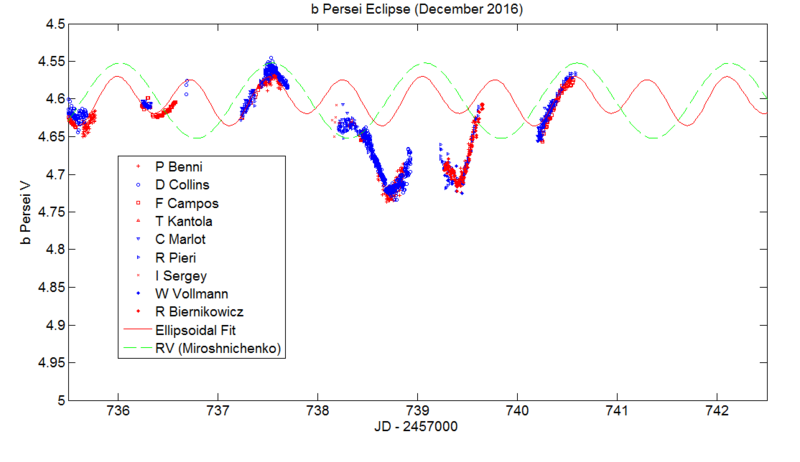 Figure 1: The first transit observations of b Persei by AAVSO. February 2013. 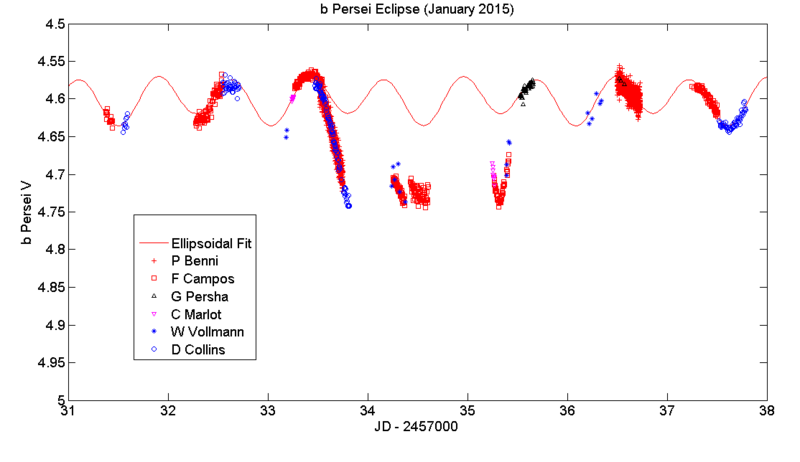 Figure 2: The first high time-resolution transit of b Persei by AAVSO. January 2015. 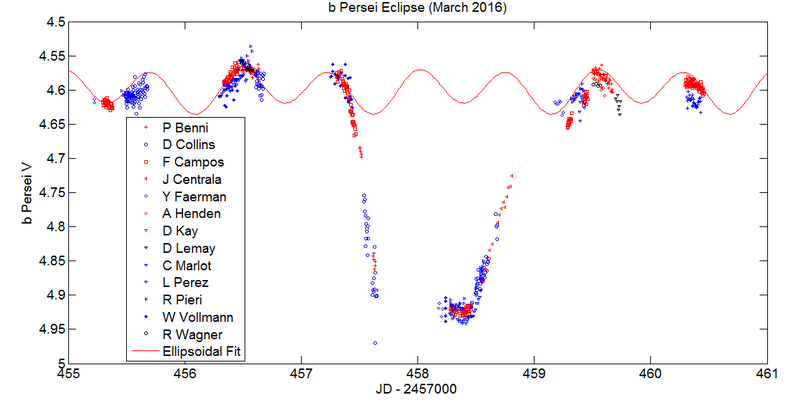 Figure 3: The first primary eclipse of b Persei by star C. AAVSO March 2016. Figure 4: The December 2016 transit by AAVSO observers showing the second high time-resolution secondary eclipse. Finder charts with a comparison star sequence for b Per may be created using the AAVSO Variable Star Plotter (VSP). Please submit observations to the AAVSO International Database using the name B PER. This AAVSO Alert Notice was compiled by Elizabeth O. Waagen using material supplied by Dr. Collins.